We posted a FirstLook of a telecope transport case yesterday. 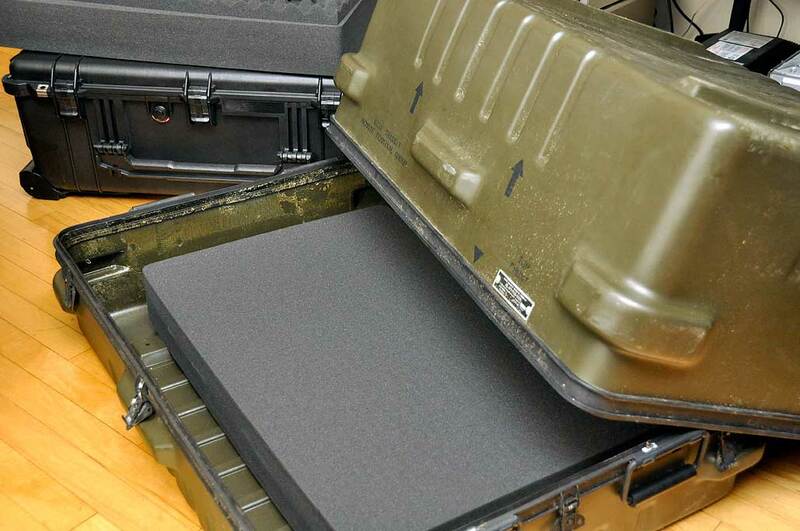 The case was originally designed for the military to protect and ship electronic equipment. It happens to also be perfectly sized for transporting a Meade 10″ LX200 telescope. We also mentioned we will be retrofiting our Pelican 1650 case to carry the NexStar C6 optical tube assembler (OTA). 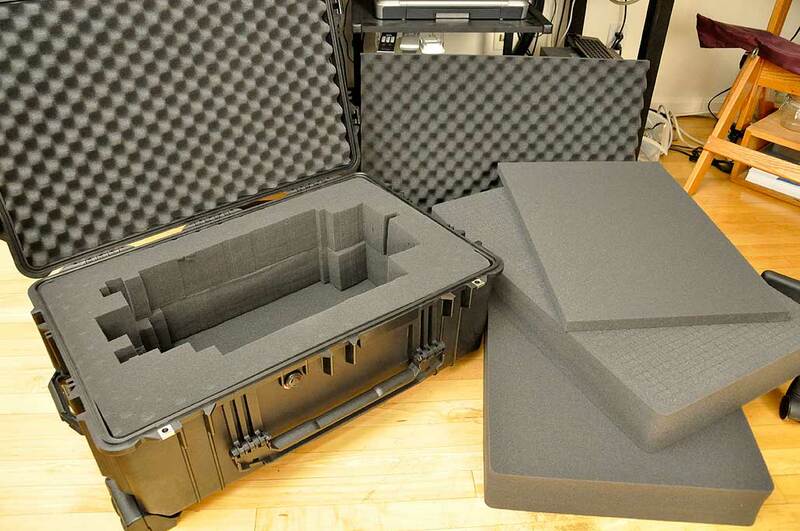 We got our replacement foam for the Pelican 1650 from Case2Go. There are four pieces in the set. The “egg crate” layer is for the top cover. There are two four-inch thick pick-n-pluck pieces and a 1″ thick bottom layer. It is clear the Pelican case would have no trouble accommodating the 6″ OTA. However, there a a few other pieces of equipment which we need along with the OTA. Each piece of gear came with its own carry case. All that protection can take up quite a bit of room. It would be great if we could arrange the layout such that it can also transport all the imaging gear (CCD camera, HyperStar lens, etc…) needed for the Portable Deep Sky Imaging System (PDSIS). We would love to be able to put everything we need into the Pelican 1650 case. It will be interesting to see if we can. If we cannot, another option is to have two sets of foam for the larger transport case. Depending on what we need to transport, we’ll fit the case with the appropriate set of foam. As one can see, the Pelican replacement foam is much too small to entirely fill the larger container. However, we can probably still use the pick-n-pluck layers for the center area and fill in the edges with something else. We may go back to the Case2Go folks to see if they have any ideas. For the full write-up of the Pelican 1650 retrofit, look for it in the iPad issue of RainyDayScience in the Spring.